Getting sick or injured in a new country can be confusing and scary, and sometimes it’s hard to know where to go or what to do. We’ve put together a guide to the Australian healthcare system, so you’ll know how to get help should you or your family need it while you’re here. What kind of healthcare is available in Australia? The Australian healthcare system is divided into two sectors: public and private. To access the public health service people must be eligible to receive Medicare, which provides financial assistance to Australian residents and some visitors to help pay for some treatments. Patients may decide to use the private health service, instead of using the public health service. In those cases private health insurance will generally pay the portion that Medicare will have paid in the public health service. Permanent residents of Australia qualify for Medicare. If you are here on a student, visitor or working visa, you may not qualify for Medicare. If this is the case, private health insurance can help meet the costs of medical and hospital treatment in Australia. It’s worth noting that some visitors from certain countries are covered by Medicare for some health services under Reciprocal Health Care Agreements*. Private health insurance helps with the costs of services provided in the healthcare system while you are in Australia, including emergency ambulance trips and a range of treatments in hospital. 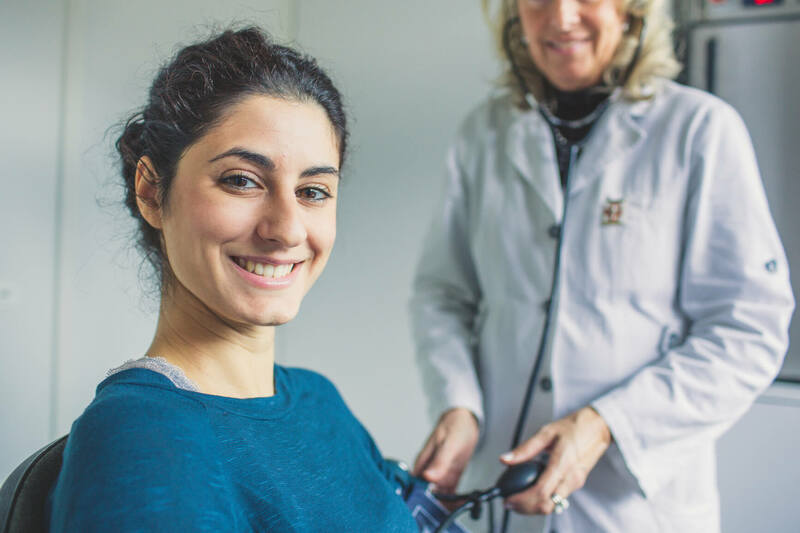 It is a requirement of most work and student visas that you purchase private health insurance for your time in Australia, with a minimum requirement that you obtain ‘hospital cover’. You can then add different types of extras cover (also called ‘ancillary’ cover) which helps with the cost of things like physiotherapy and some dental services. How can a general practitioner doctor help? If you need to see a doctor, your first step is to find a general practitioner (GP) near where you live, work or study. GPs can work in private practices, public clinics and medical clinics and the fee for service can vary. A GP will either treat you and possibly prescribe medication, or refer you to a specialist doctor. GPs see everyone, but some specialise in women’s health. If you need emergency medical help, call 000. This will connect you immediately to the national ambulance, police, and fire services. Click here for more important Australian phone numbers and websites. Do I have to pay to see a general practitioner doctor? If you don’t have private health insurance, and you’re not covered by Medicare you will have to pay. If you do have private health insurance, most Medibank hospital policies for visitors will pay a benefit towards the costs of seeing a GP. When a GP charges more than the Medical Benefits Schedule (MBS) fee (the set government fee), you will be left with an out-of-pocket expense. To minimise any out-of-pocket expense, attend a bulk billing clinic (which is a clinic where the GPs charge the MBS fee) and always ask about any potential “out-of-pocket expenses” before your appointment. Out-of-pocket expenses are the difference between what you pay, and what your insurance will pay for. If you hold Medibank’s OSHC (Overseas Student Health Cover), you can visit one of our Direct Billing Clinics. These clinics bill Medibank directly which means you might not have to pay anything up-front. You can find an OSHC Direct Billing Clinic here and remember to take your Medibank membership card and photo identification with you. When you’re treated in hospital by a doctor, surgeon or anaesthetist (specialist), the set fee is called the Medicare Benefits Schedule (MBS) fee. Some Medibank covers pay more than the MBS fee. But if the specialist chooses to charge above the amount we pay then you will have to pay the difference, an out-of-pocket expense. And it’s worth knowing that if you visit a Members’ Choice hospital you will generally get better value for money compared to a non-Members’ Choice private hospital (as long as the service you receive is covered by our agreement with the hospital and is included in your cover). How do I get prescription medication? If you need prescription medication, your GP or Specialist will give you a script and you can take it to a pharmacy and get what you need. If you are already taking prescription medicines before you come here, you may want to bring enough with you for your time in Australia. Just make sure it is legal to do so, as there are restrictions on bringing medicines here. Find out about bringing medicines into Australia here. The benefits we pay towards medication provided as part of your hospital treatment depends on your cover and the hospital you visit, so it’s a good idea to call us before your treatment to understand the benefits you should receive. Our Overseas Student Health Covers and Top 85 Working Visa Health Insurance include benefits for pharmaceuticals. This means they can also help with the cost of prescription-only medication prescribed by a doctor (GP and specialist) outside of hospital. Benefits will only be paid after a co-payment has been paid by the patient and we don’t pay benefits towards most oral contraceptives and all medicines prescribed for cosmetic purposes. * Access to Medicare through these agreements may be affected by your visa status and in many cases, you may still be required to purchase private health insurance before applying for a visa.